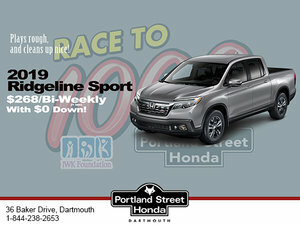 The 2018 Honda Accord has arrived at Portland Street Honda, and it brings with it a host of technological and mechanical innovations that make it even more fun to drive, even more dynamic, even more efficient, safer and even more spacious. .
With three engines on the menu, including two turbocharged engines and a new hybrid engine, the 2018 Honda Accord promises to meet the needs of all consumers, regardless of their expectations. And, with a starting price of only $ 26,490, it is also within the reach of most budgets. 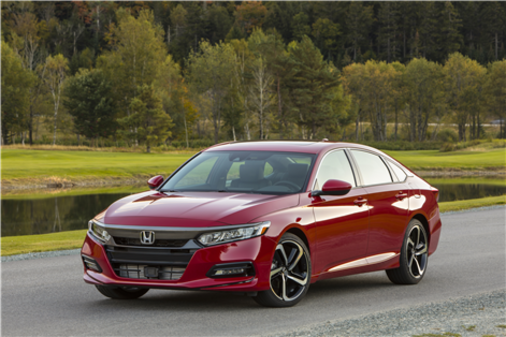 The Honda Accord has swapped its old four-cylinder and V6 engines for two new turbocharged engines that offer a level of performance that is both fuel-efficient and grin-inducing. The entry-level powerplant is a 1.5-liter turbo four-cylinder that develops an impressive 192 horsepower and 192 lb.-ft. of torque. Paired with a six-speed manual transmission or a continuously variable automatic gearbox, this engine delivers its torque at low RPMs which means that you always have plenty of power to pass or accelerate. In addition, this turbo engine has an average fuel consumption rating that stands out with a posted average fuel economy rating of only 7.9 liters per 100 kilometers in the city, and 6.3 liters per 100 kilometers on the highway. The other engine option is a 2.0-liter four-cylinder that replaces the old V6. The latter develops an even more impressive 252 horsepower and an abundant 273 lb.-ft. of torque. The manual is available with this engine, but it is also possible to opt for a revolutionary 10-speed automatic gearbox.The latter improves not only comfort and performance, but also fuel consumption. The 2018 Honda Accord offers an even more spacious and versatile interior while the trunk is one of the largest in its segment. In addition, the Accord now offers the Honda Sensing set of active safety systems as standard on all versions of the range and therefore at no additional cost. That means that you not only get a mid-size sedan that is more spacious and more versatile, but also safer. To learn more about the new 2018 Honda Accord, contact us today at Portland Street Honda!